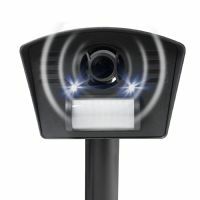 Keep unwanted cats, dogs, foxes and badgers out of your garden with the ultrasonic pest repeller / deterrent with twin flashing LED strobe lights. The battery powered deterrent can be used in a loft, where there is no mains power supply, to get rid of squirrels. 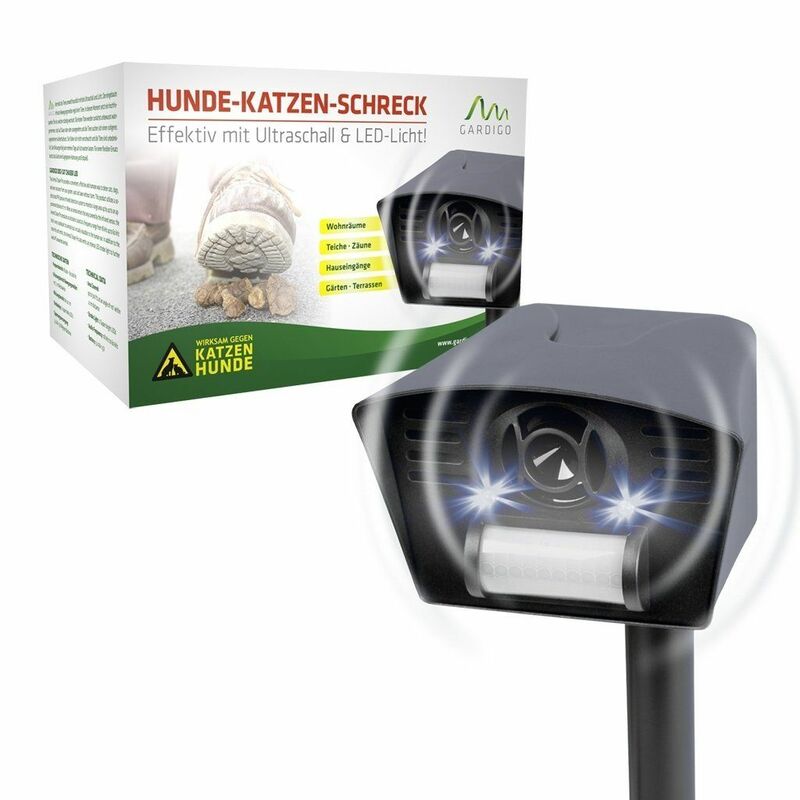 The animal deterrent uses ultrasonic sound to keep unwanted pests away from your property. 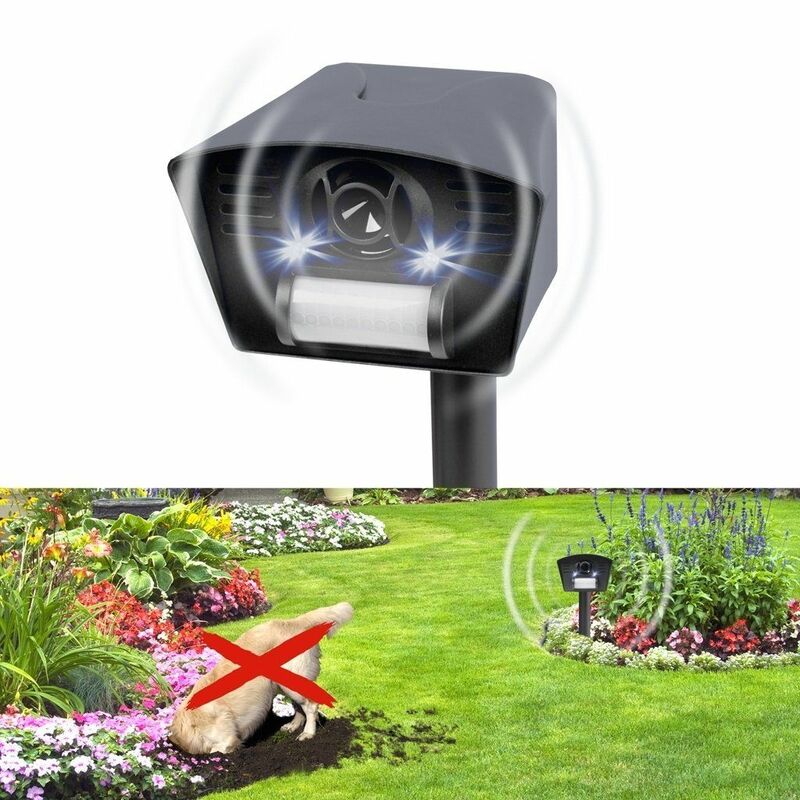 It has a flashing strobe light that works especially well against nigh time pests such as Foxes or Badgers and it is this strobe light that will help get rid of Squirrels. The ultrasonic pest repeller has 2 different frequency settings, so play around and see which one works for you. Importantly, the repeller has an on/off switch so it doesn’t have to be on constantly (when you’re in the garden, for example). The PIR sensor detects movement in front of the unit and activates the ultrasonic sound and the LED flashing lights.